Modern interiors and lifestyle from Country Style! Cosy cottages aren’t what they used to be.. If you’re thinking that it’s all about cute cross-stitch and flying duck motifs, then you’re way off. Gorgeous gardens, impeccable interiors, fine food and small towns worth discovering are all on offer in Country Style. Access to artisans, designers and local producers mean Country Style is a sophisticated offering of lifestyle delights. 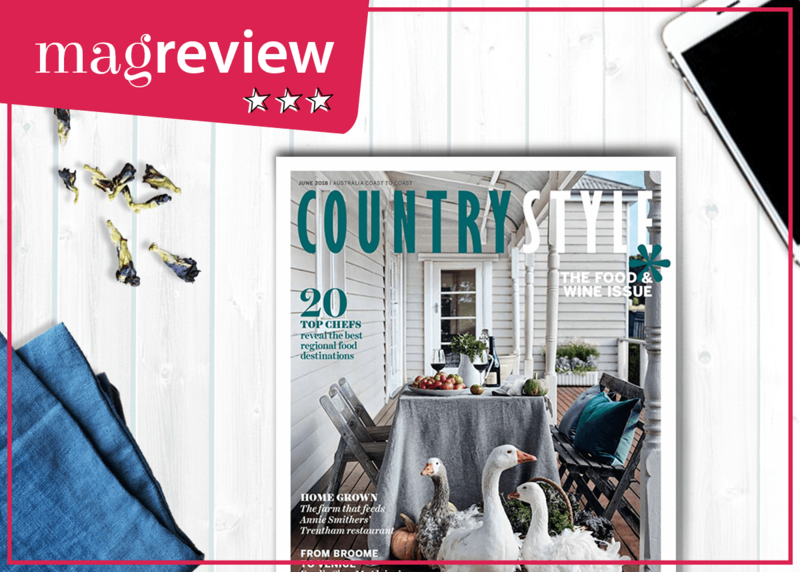 Food, fashion, gardens, interiors and lifestyle are Country Style’s domain. The style is modern yet timeless. The clean lines of contemporary design create a sophisticated and classic feel in heritage homesteads and abandoned warehouses through a clever use of timber, slate and ceramics. Morning sunlight in a misty paddock, organic veggies fresh from a kitchen garden and a Georgian conservatory abundant with floral arrangements all make you sigh with longing. Personalities like Billy Slater and Jenny Kee share memories about their rural childhoods or open the doors to their regional abodes. Tree-changers, sea-changers and dream-changers will wistfully read the features of families who’ve either made the move or were already living in their dream destinations far from the city. You can peek inside, where there are square metres to spare, or outside where acreage unfolds to reveal pavilions, pasture and ponds. A monthly What’s On guide showcases events outside the major cities and small towns and their best kept secrets are revealed in On the Move. There are recipes, book reviews and advice for those who are curious about collectables. A magfactor of an intense OMG for all that beauty and space.